If concrete is applied to a wall incorrectly the first time, it can feel rough or uneven. Sanding the wall can often take care of the problem, but it is difficult to sand a very large surface smooth, and you might end up with places that are recessed while others are higher, making the wall look worse than before. The best way to create a smooth surface for your wall is to limit your sanding and apply a thin overlay of correctly finished new concrete. 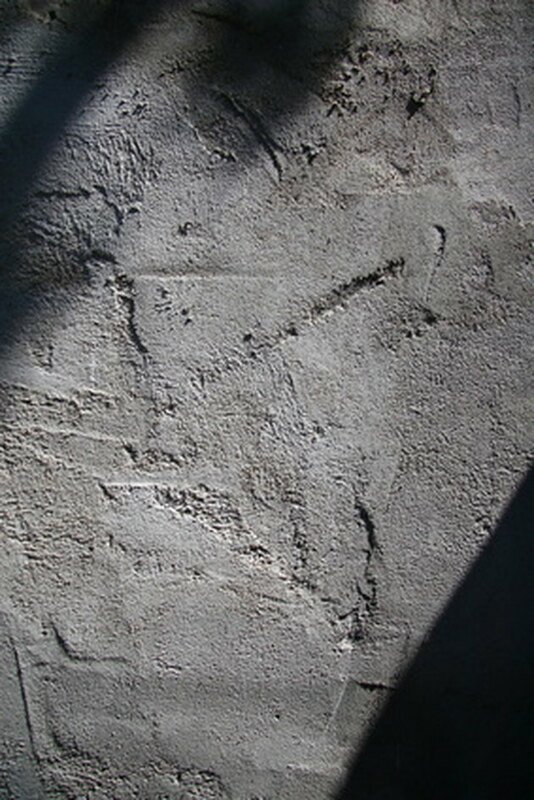 Textured concrete walls can be attractive, but may not be for you. Sand any particularly bad areas of concrete with rough-grit sandpaper. Do not try to make the wall level. Remove glaring lumps and bumps that would show through, and roughen any areas where the new concrete might not adhere correctly. Roll liquid concrete bonding agent over the surface of the wall in fairly straight lines using a short-napped paint roller. Make sure you cover the entire wall. Wait about five minutes for the product to firm up and become sticky. Trowel a 3/8-inch layer of concrete over the wall with a straight trowel. Drag the flat of the trowel straight across the surface of the concrete to smooth it. Allow the concrete to dry for approximately 30 minutes, until most of the moisture is gone from the top. Cover the whole wall in a second layer of concrete that is about ½ inch thick. Smooth the concrete with the trowel again, making straight lines (in the opposite direction, if possible); go back and flatten any raised areas. Let the concrete cure completely three to five days. Jourdan Townsend has been writing since childhood. Her articles appear in a collection of student works at the University of Oklahoma as well as in the school's "Honors College Journal." Townsend also composes poetry, some of which can be found in an edition of the "Anthology of Poetry by Young Americans." Townsend holds a Bachelor of Arts in communication.